What week of the year has 10 days? American Craft Week spans over two weekends to include all the many craft events celebrating the value of American craft. American Craft Week just happens to include Kentucky’s two largest fall arts festivals, St. James Court Art Show in Louisville last weekend and the Kentucky Guild of Artists and Craftsmen Fall Fair this coming weekend. 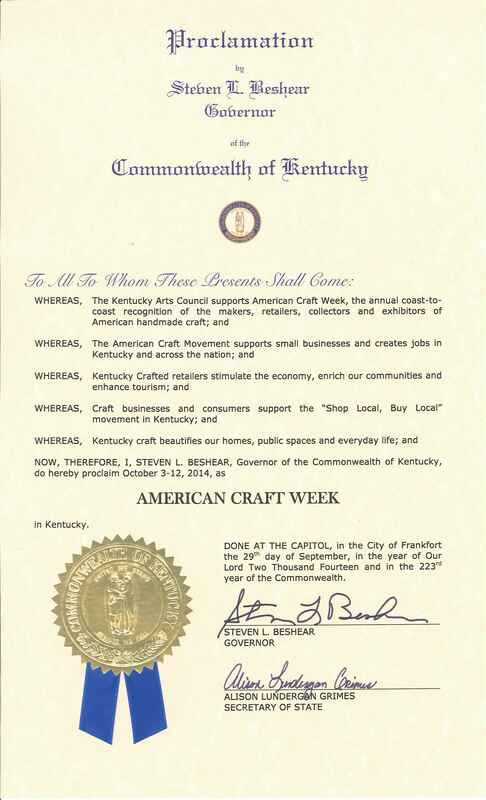 Governor Beshear has joined other governors from around the nation in proclaiming Oct. 3 – 12, 2014, American Craft Week in Kentucky, acknowledging the support the Kentucky Arts Council gives to our Commonwealth’s makers, retailers, collectors and exhibitors of American handmade craft. Kentucky Crafted Retailers in Kentucky and Ohio are also having special activities in celebration of American Craft Week. Yes, that’s right. We have officially designated Kentucky Crafted Retailers in Kentucky, Ohio and Indiana. Check out our directory to see the complete list of Kentucky Crafted Retailers. Stop by Completely Kentucky, in Frankfort, during American Craft Week and enjoy some samplings of Kentucky Proud gourmet foods, win a gift card during the daily drawings and see the work of Kentucky Crafted artists, artisans and gourmet food producers. Zig Zag Gallery, a contemporary craft gallery in Dayton features jewelry, pottery, creative clothing, gifts and more! Their American Craft Week events include Soup for CERF: An Empty Bowls Fundraiser, pottery demonstrations and a fabulous Friday featuring local artists’ trunk shows. In Cincinnati, indigenous, a handcrafted gallery features 100 per cent American fine craft and jewelry by 175 local and regional artists, including many Kentucky Crafted artist. A “clay throw-down,” artist demonstrations, fundraisers and other artful events are all happening for the celebration this week. American Craft enriches our homes, wardrobes, offices and public spaces. It contributes to our nation’s economy, our balance of trade and the fabric of our national history. 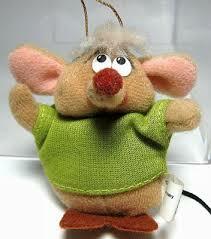 It is original, beautiful and enduring, so let’s tell the world!